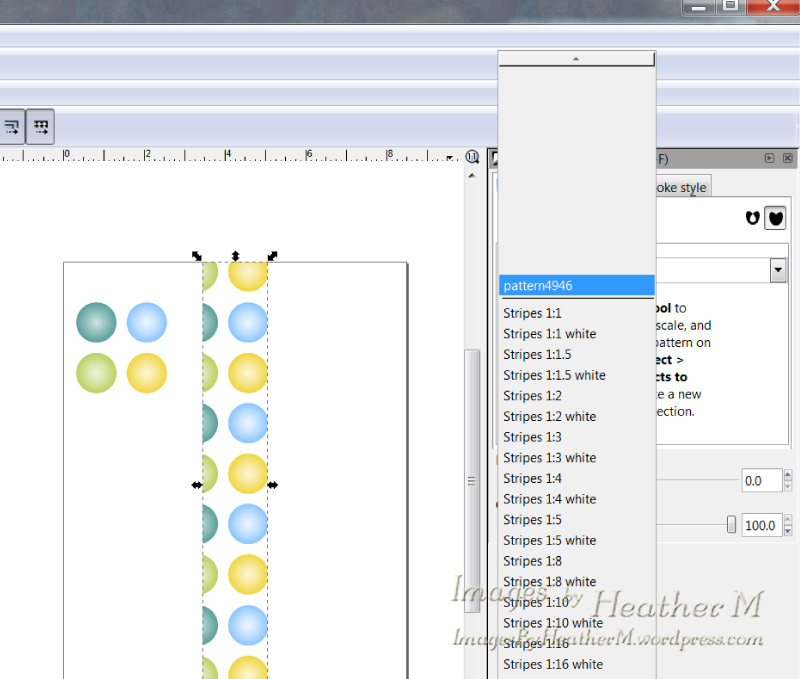 This is a tutorial on how to use patterns (such as seamless patterns, elements, or digi papers) in Inkscape. I’m using Inkscape 0.47 due to compatibility issues with some cutting programs and the newest version of Inkscape. Open Inkscape and create a document that is the same size as your paper you will be printing on. 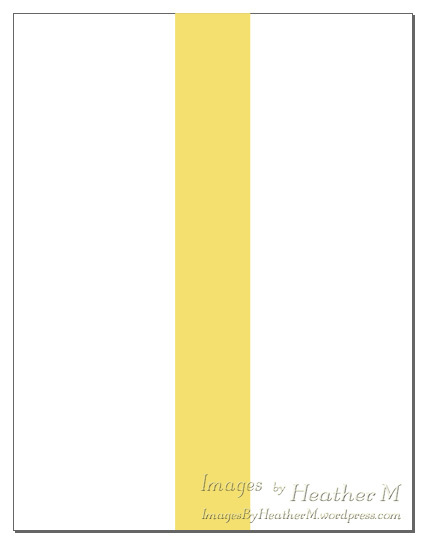 I want to print strips to make paper tapes, so I made a rectangle that is 1.5×11 inches (I’m printing on US letter size paper and will run the strips through a 1.5 inch Xyron then cut the strips into smaller widths). 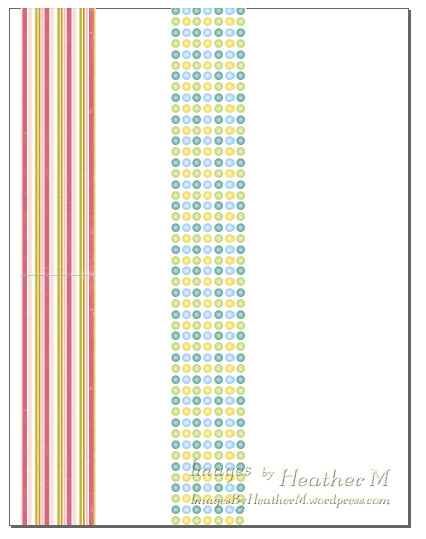 Create or import a pattern into your document. In this example I used four circles with gradients and a white background square. 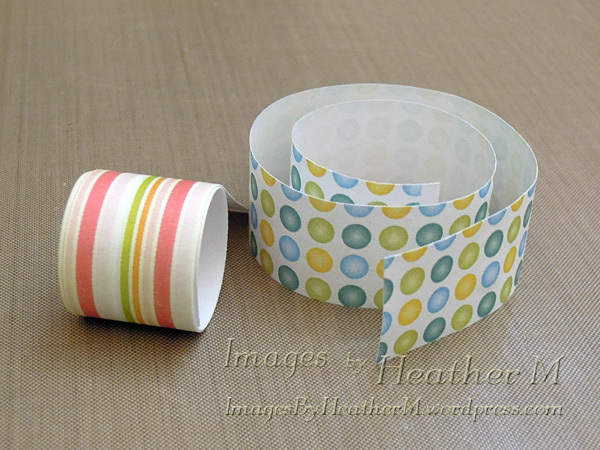 Digi-papers or seamless patterns also work very well. With your pattern selected use Object/Pattern/Objects to pattern. Click on the Fill and Stroke icon to bring up that window. 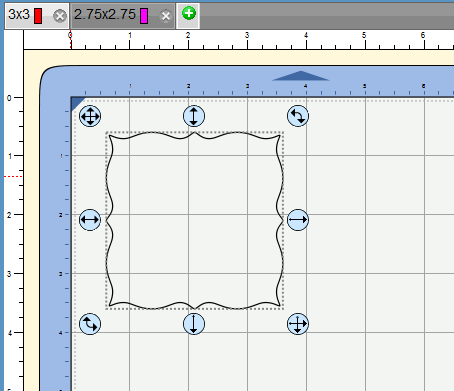 With your shape to be filled selected, click on the Pattern button. 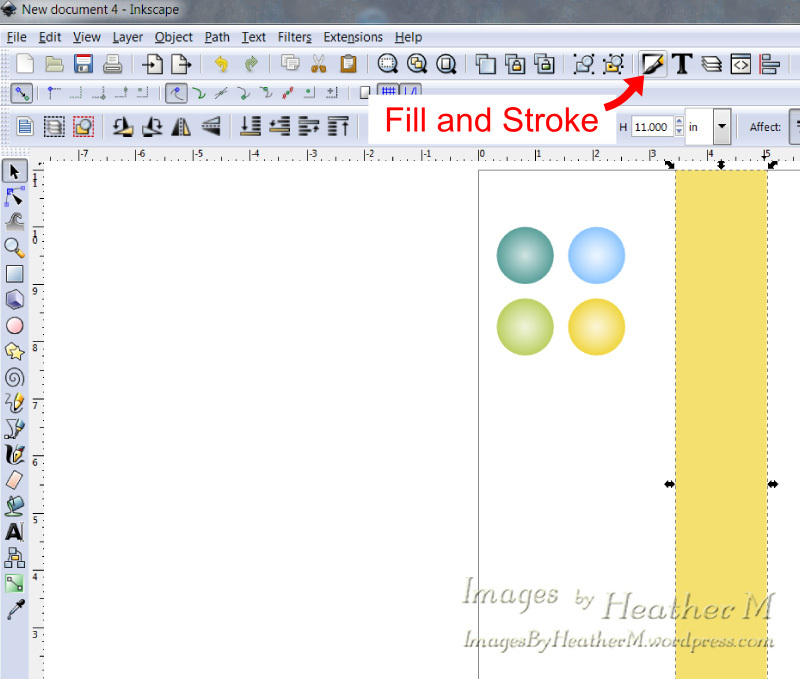 If you have created multiple patterns in your document you will need to use the drop down box to select your new pattern fill. The newest pattern will be on the bottom of the upper section. Unfortunately they are given numbers by Inkscape and I don’t know of any way to change it to something else. 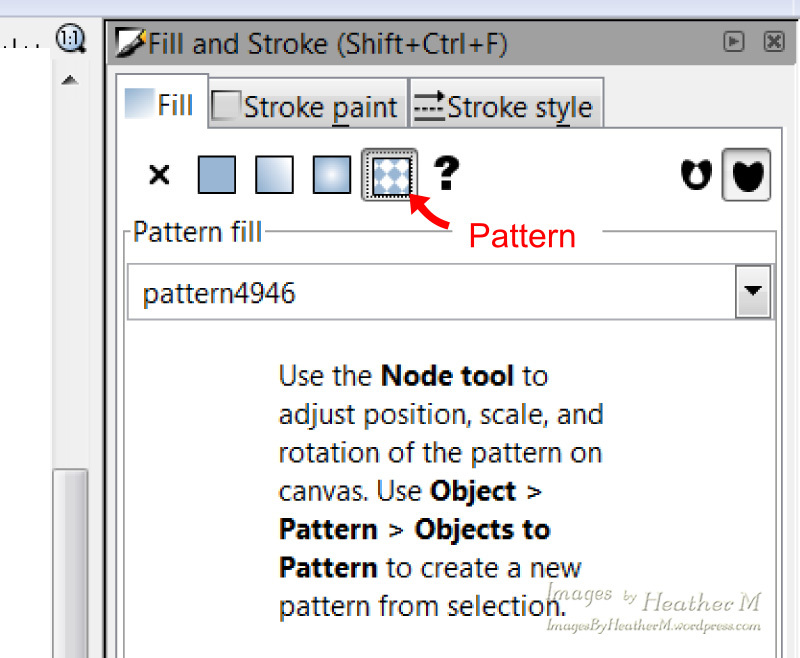 The pattern fill can be adjusted using the Node tool. 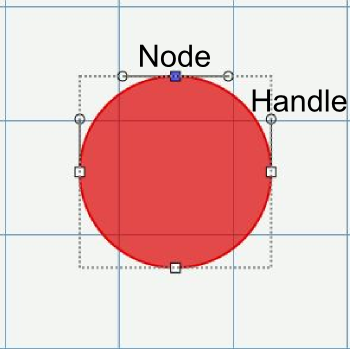 Select your filled shape and then select the Node tool. The X on the pattern will adjust the position of the fill, the circle adjusts the rotation, and the small box will adjust the scale. Hold down the Control key to constrain the proportions or angle. Here are two strips that I made. 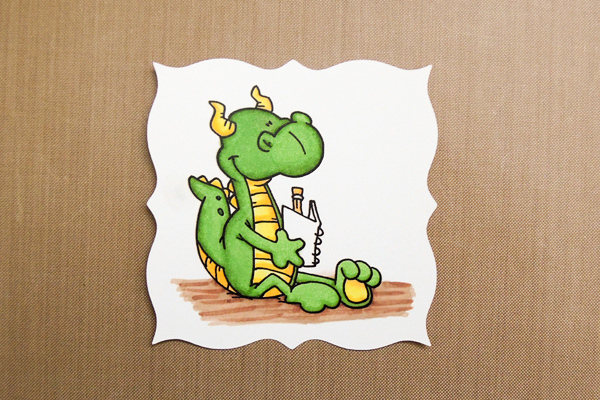 The one on the left was made using a digi-paper and the one on the right was made with my vector pattern. I would fill my page with either strips or digi paper before printing. Inkscape has a bug that can result in white lines through shapes filled with patterns. If you have a main color other than white you can put a duplicate shape filled with the main color behind the shape with the pattern fill. 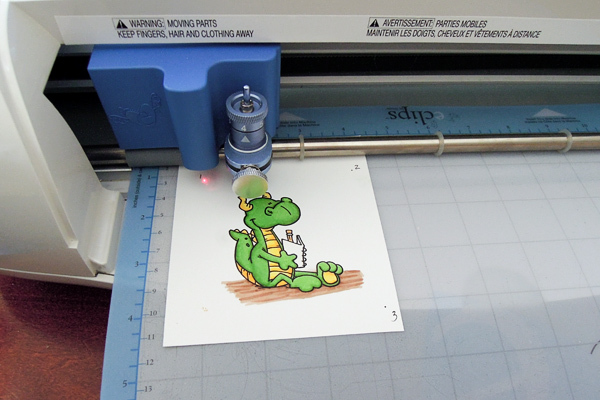 Have you ever wanted to cut out an image that is either already printed or stamped? What about cutting photos? Here is how you can do that with eCAL or SCAL3. This would probably work with any program that has the print and cut ability. 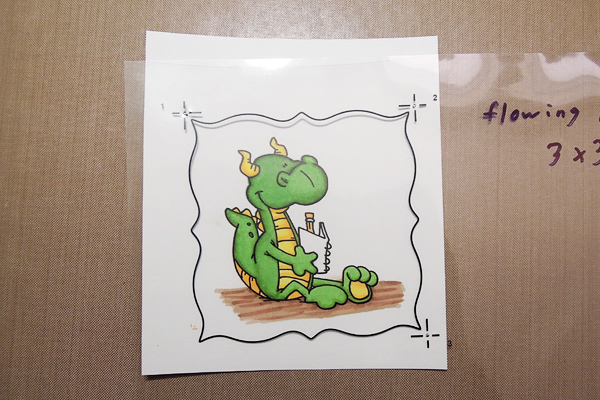 I used a transparency, but you could use vellum or even office paper and a light box (or window). Open your file in eCAL/SCAL and size to the size that you want to cut. I also change my cut shape to no fill and add a stroke. Print with registration marks. If I’m printing the same cut file in different sizes, I put each size on a new page and label the pages with the dimensions. I have been printing one shape, and then turning the transparency around to print another shape on the other end. I also write the file name and the shape size next to each shape. Place the printout over a piercing mat (or a mouse pad) and poke all three of the dots in the center of the registration marks. Place your template over the image you want to cut. The transparency make it very easy to position (and also to avoid the stray marker near the edge of the image ). Use a pen or a marker and place a dot in each of the three registration marks. I like to number them, but that really isn’t necessary. Position the print on the mat. Placement doesn’t need to be exact. Just make sure that it isn’t turned sideways. 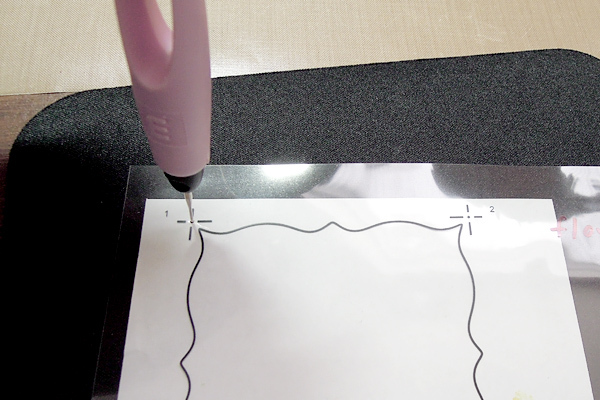 Click on the Print2Cut button and go through the Print2Cut steps like normal. 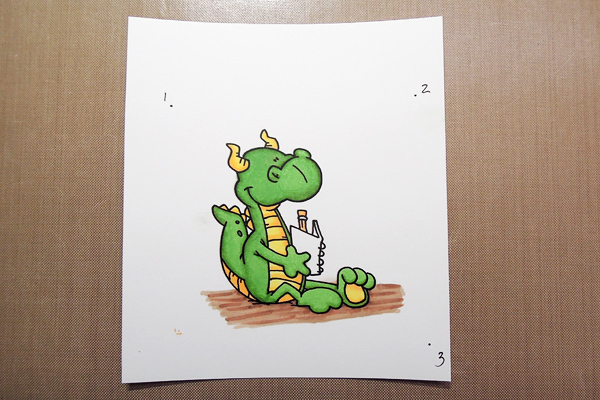 The results: One previously printed image that has been cut out exactly like I wanted. I found three more new features in SCAL 2.021. One is the ability to open more than one SCUT2 file at a time. If you click on the Import svg button or use Import from the file menu you can open multiple SCUT2 files. Each one will open in a new page, but if you want them on the same page you can copy and paste them where you want them. The font list is now alphabetical, no more lower case font names at the bottom of the list. The other new feature is the ability to simplify your cutting files. Here is how you use it. Select the Path that you want to simplify and from the menu use Path/Simplify. A dialog will appear. You can change how severe the simplification by increasing or decreasing the threshold. Click on Preview to see the change. The number of nodes is shown above both the before and after images. A higher threshold will result in more nodes being removed, but can cause distortion of the shapes. Click OK when you like the results. This is what my simplified text looks like using the default of 50. It originally had 623 nodes and the simplified letters had 194 nodes and will cut faster than the original. I have updated my original post on the SCAL 2.021 update to include all of the features that I found after I wrote that post. I found another new addition to SCAL 2.021 today. For those of you familiar with Inkscape, this would be the same as Path/Combine. It doesn’t change the cutting lines, just the fill settings. 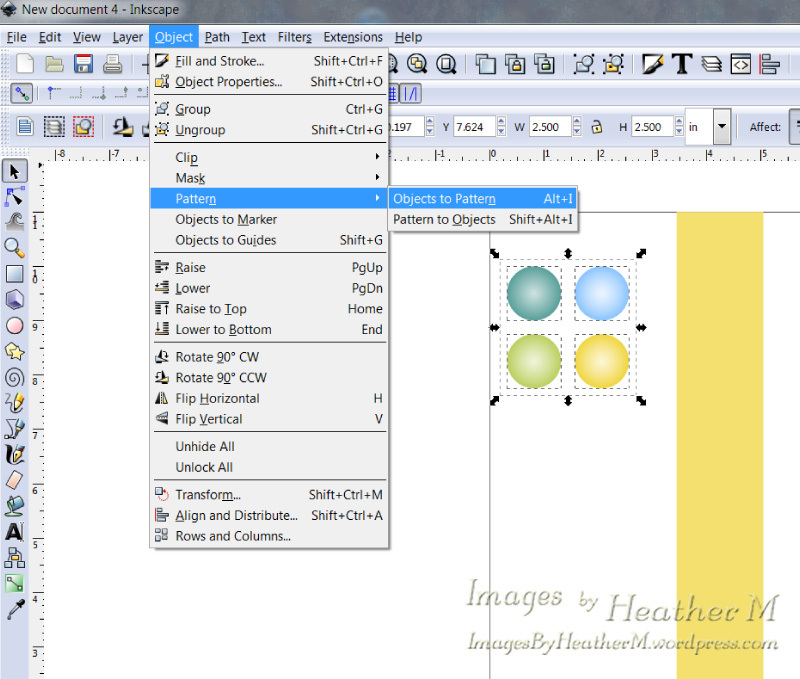 This is really useful when working with paper piecing files to combine pieces together into one layer. Here is an example of how it works. The much asked for ability to export to svg files directly from SCAL. Files can also be exported as BMP and PNG. All of these are found in the menu under File/Export. 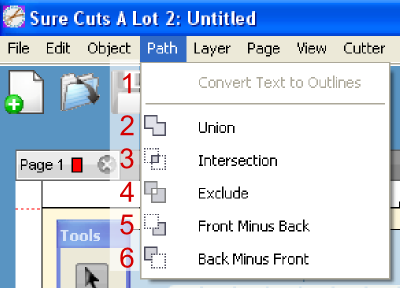 You can now open multiple SCUT2 files in different pages of the same file. I have more detail on this here. The ability to use vector PDF files directly without needing to use another program to convert them to SVG first. Automatic simplification that can be adjusted or disabled (available through the menu: Edit/Preferences/Edit tab). Path Simplify has been added. I have more detail on this here. Adjustable grid with snapping option. Snapping is available in the View menu and the grid can be adjusted there or in the Preferences/Grid tab. More shapes have been added to the shapes library, including USA and a nice selection of flourishes (possibly music and symbols too, but I can’t remember for sure). 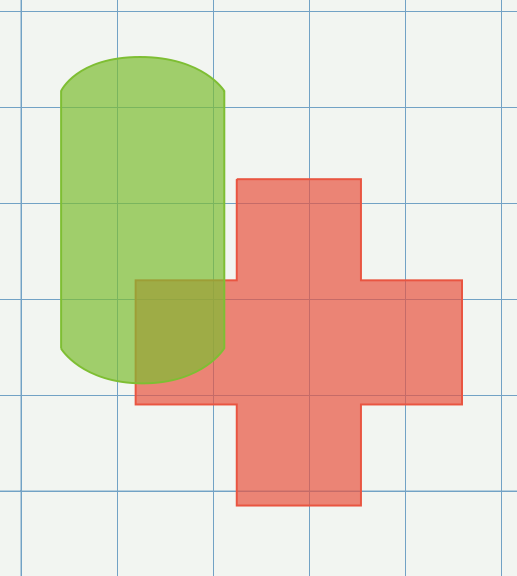 I also noticed new shapes in the basics shapes section. 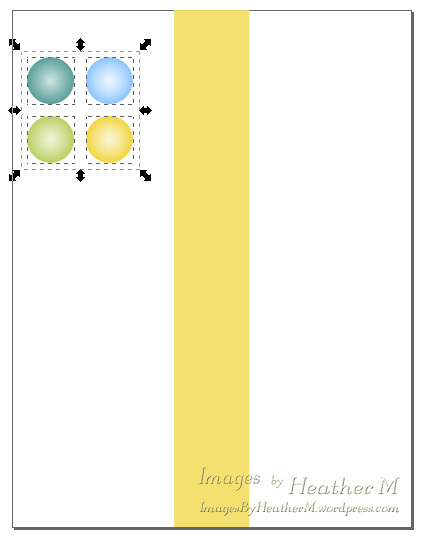 Each shape is now placed on it’s own layer, and when shapes are Unioned the layers are automatically combined. 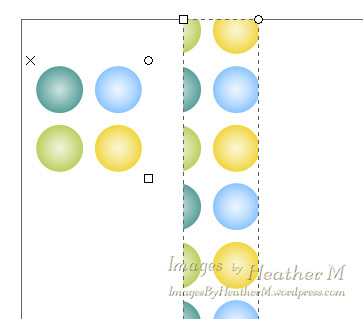 If shapes are Grouped, they are all placed in a folder with the layers underneath. If a shape is deleted, it’s layer is also deleted. Object/Merge has been added. This is comparable to Path/Combine in Inkscape. See this post for more information on this. A deactivate option has been added to the Help menu. Very useful if changing computers or compatibility mode. The ability to move objects on the mat by clicking anywhere on them. This was actually added in 2.013, but that version was removed from the download page after a day or two. Fonts are now in alphabetical order, even fonts with lower case names. I just switched from XP to Windows 7 64 bit, and discovered that my usual method of opening uninstalled fonts to use in Inkscape doesn’t work with Win7. When I tried to install The Font Thing I got an error message and it wouldn’t install. What is a font addict to do? I found this solution and it works! Go to The Font Thing website here and then click on the Download tab. Download the second link on the download page. You want the one without the installer since you aren’t going to install the program. Once you have the files downloaded, unzip them, then for ease of use I pinned the TFT.exe to the taskbar. Just click on the pinned file to run the program. When you click on the Browse tab, you might just get a question mark. If you click on the refresh button it will change to your C drive and you can navigate to where you have your uninstalled fonts stored. 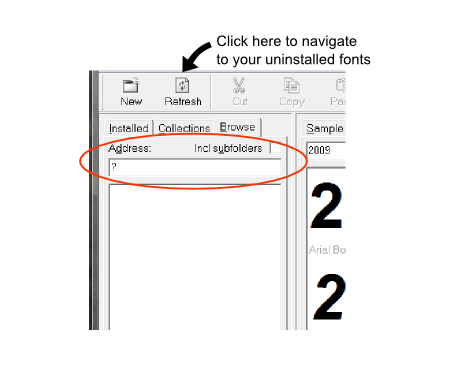 Then you can preview or temporarily load your uninstalled fonts. 🙂 If you want to use TFT to install fonts, you will have to set it to run as an administrator before you open the program. Once again we have a great update that was likely driven by competition! This update is just for Windows, but CE says that they will have an update for Macs soon. This update added the ability to pause while cutting, two new sets of shapes to the shapes library, and several vector creating and editing options. I’m going to talk about the vector creating and editing options here. A new Path section was added to the menu bar. 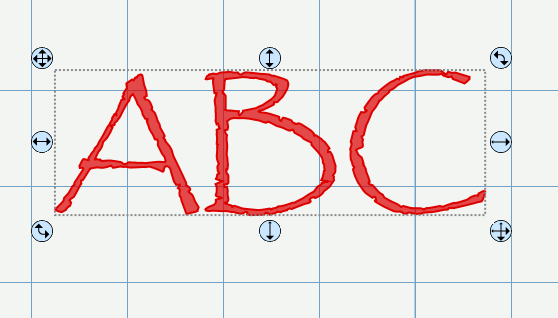 Convert Text to Outlines. This converts text from a font to a Path. 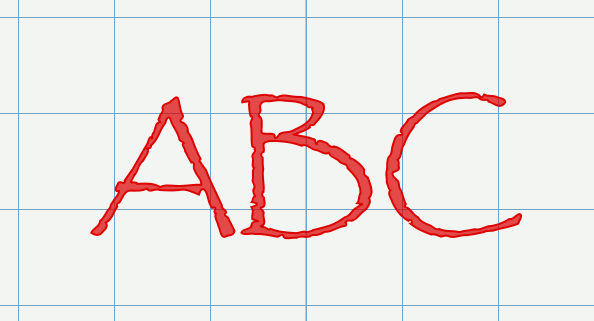 Once the text is converted it can still be ungrouped and individual letters rotated or moved, but Tracking and Vertical offset can no longer be used. This option is mostly for editing the shape of the font characters. Union. Permanently joins two or more shapes or objects together. This will remove any nodes or cut-lines that are inside the filled area (as seen with View/Show Outlines turned off). It also works for fonts without converting them first. Intersection. Results in only the area where the objects overlap. You can use this on exactly two objects. Exclude. Opposite of Intersection. Any areas where the objects overlap are removed. You can only use this on exactly two Paths. This allows you to create frames and weld other objects to the inside of them or create intertwined rings like the Olympic circles or joined wedding rings. Front Minus Back. This a good way to remove part of an object. You need exactly two paths for this. Think of the back object as a mask or cookie cutter. The area where the upper and lower objects overlap is removed from the front object, and the bottom object disappears. In my examples the blue square is in front of the red circle. Back Minus Front. This is just like Path/Difference in Inkscape. The area where the upper and lower objects overlap is removed from the bottom object, and the top object disappears. In my examples the blue square is in front of the red circle. The other two vector tools are in the toolbar. 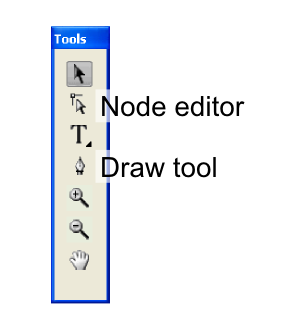 They are the Node editor and the Drawing tool. The Node editor lets you move nodes either one at a time by clicking on them, or selecting several by either holding down the shift key while clicking or drawing a box around the nodes. Either way they can be moved by clicking and dragging the selected nodes to the desired location. The nodes are the squares and the handles are circles. The nodes turn blue when selected, and the surrounding handles become visible and can be moved to adjust the curve. At this point I didn’t see a way to turn a straight line into a curve since they didn’t have visible handles and the lines themselves can’t be changed directly. 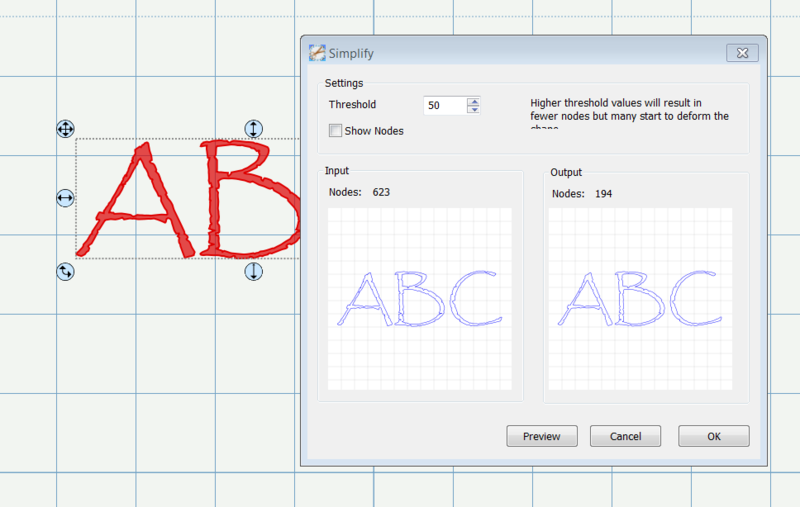 The Drawing tool lets you create freehand shapes much like the Bezier tool in Inkscape (or the Pen tool in Illustrator). 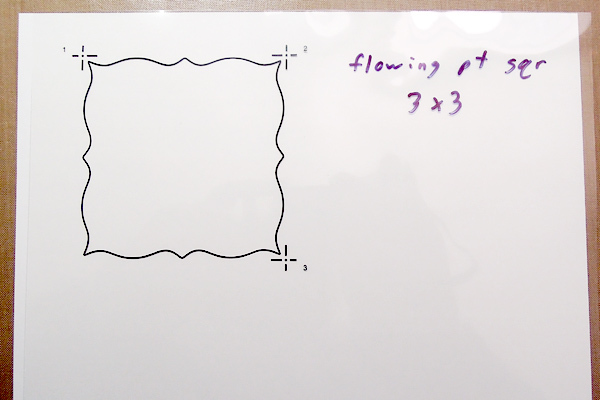 You can create a straight line that will cut a single time, but when I tried a curved line it still cut with an extra straight line between the endpoints two out of five times. Simply press enter to end the drawing as an open line. 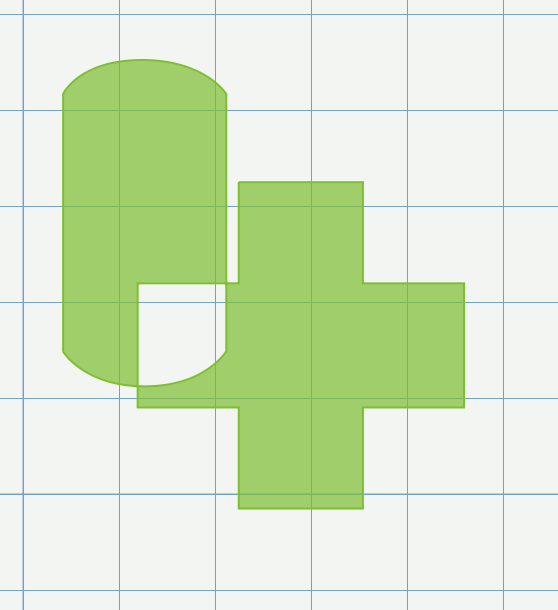 You can also add or delete nodes from existing shapes with this tool. Simply click on nodes with this tool to delete the nodes. 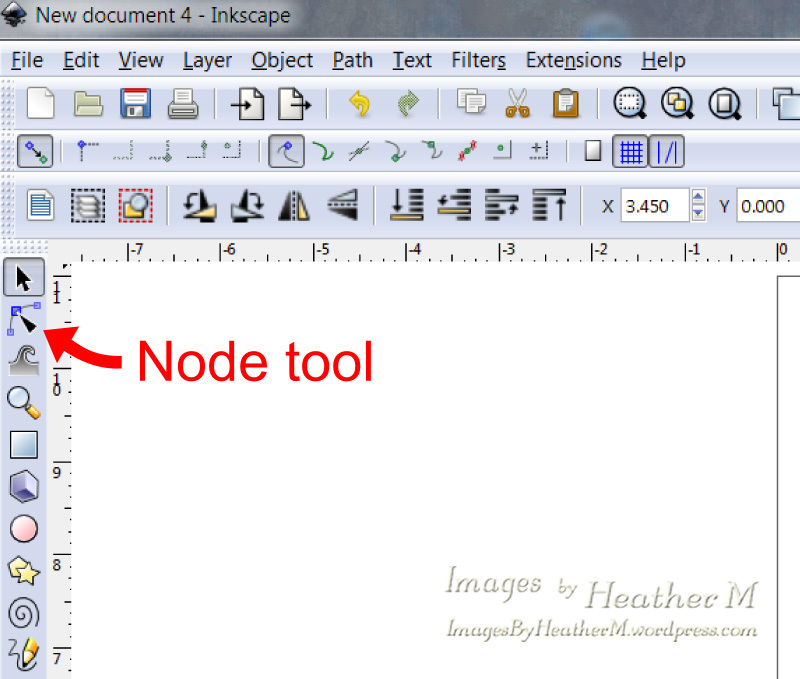 Hover the tool over the line where you want to add a node and click when the plus sign next to the cursor turn bold.